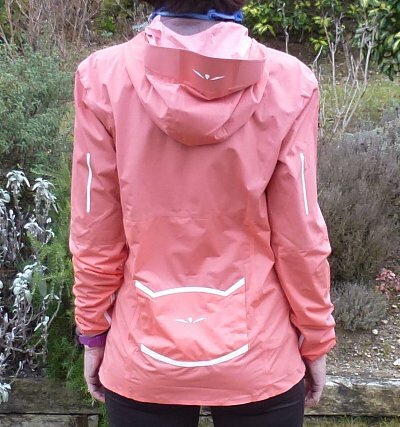 As I write this Uglow U-RAIN HYBRID Jacket Review, I am nearly half way through training for my first ultra - 80km Paris EcoTrail. In my quest to have the right kit, I realised that needed a running jacket that was comfortable to wear, light and small enough to carry, waterproof and breathable and with a hood that stayed put. 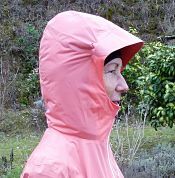 I was very lucky as at that moment, a company in France called UGLOW offered me their Uglow U-RAIN HYBRID Jacket at a reduced price, in return for a review. How could I resist. I found UGLOW by chance when doing an internet search. They are a fairly young company in terms of running brands having been founded in 2011 in France. 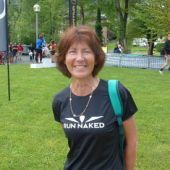 Their ethos is to provide high quality running apparel which is stitch free and zip free. If you are wondering how that works, basically their clothing seams are heat bonded and their pocket openings use a magnetic closure system. The Uglow U-RAIN HYBRID Jacket is made of soft, slightly stretchy material which has a waterproof rating of 10,000 mm and a breathability rating of 10,000 grams. How the ratings are calculated. If you are not sure what those numbers mean, both numbers normally have a range between 5,000 and 20,000 and the higher the number, the better the waterproofness and breathabilty. So the Uglow U-RAIN HYBRID Jacket should be rainproof and waterproof under light rain and should be fairly breathable unless under extreme conditions. As for UGLOW sizing, I used the website guides and decided that a size S would be the right one for me. I weigh 51 kg and am 162 cm tall. However on receiving the jacket, I found it ran small. It fitted fine if I kept my arms down by my sides but if I wanted to swing my arms, then I could feel the shoulders and back area stretching. So back the jacket went and I ordered a size M. I was a bit gutted at that point as I had wanted the blue colour but they had now run out so I ended up with the coral colour. Actually it looks much nicer in reality than on the website so I was happy in the end. Lots of reflective details. Great for being seen at night. So often, I get frustrated as winter running clothing is dark and sombre. However UGLOW seem to be breaking the mould a bit and their colour choices are much brighter. There are also reflective areas on the shoulders, back, sleeves and chest which I was so happy to see. I like to be seen by vehicles. I was pleasantly surprised at how light the jacket is, weighing in at 168 gm. At the same time I did wonder if its lightness would mean that it was less robust. Running through woods and on trails often means navigating through bushes and shrubs. The top half and the sleeves are made of 3 layers of fabric and the lower half is made of 2 layers. I guess this is because your shoulders are more likely to get wet in a downpour. 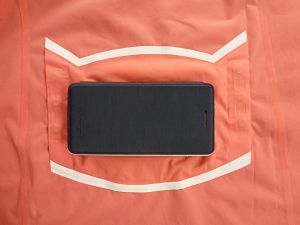 There is one pocket on the left chest which is pretty small so not suitable for your phone. It can take my car keys and a packet of tissues or a snack bar but that is it. What I do like about it though is the magnetic closure system so no need to fiddle with zips. The magnetic closure is on the side of the pocket which is interesting. So far nothing has fallen out. There is a second pocket on the back of the jacket, again with magnets but this time on both sides so good for left or right handed people. This pocket can fit a mobile phone (depending on size) or your gloves, hat and so on. The integrated hood has a built in visor which was a big selling point for me. Plus there is a built in inner mesh lining which helps keep the hood on and stops my hair sneaking out, another big plus for me. The front of the Uglow U-RAIN HYBRID Jacket closes with a zip. The zip pull is quite small but it is smooth and comes right up over my chin. The zip in general seems quite light-duty so I wonder how it will hold up over time. A few days after receiving the Uglow U-RAIN HYBRID Jacket, luck was on my side as the weather changed to rain and wind so I was able to put the jacket to the test. It was pretty cold outside so I did wonder if I would be warm enough with just one long sleeve layer underneath the jacket. I also suffer with sore ears when the wind gets too strong so I was interested to try out the hood. I ran for around 2 hours on trails and through woods. In spite of my worries regarding the thin material, my body temperature felt just right throughout the run. 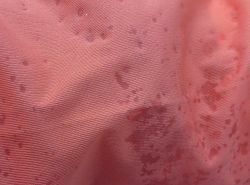 I also carried a water pack on my back and inspecting the jacket afterwards, the material on the back area had not suffered any rubbing which was encouraging. The material has a slight stretch in it so that made it even more comfortable and in fact I almost forgot that I was wearing a jacket. I was also impressed at how silent the materiel was as often with waterproof jackets you sound like a plastic bag rustling in the woods. The rain drizzled down for pretty much all the time during my first test run and after 2 hours I did notice that water was starting to seep a bit through the thinner part of the jacket below the waist. I was not getting wet though and I would say that the 10,000 mm waterproofness seemed accurate. As far as breathability goes, I compared the Uglow U-RAIN HYBRID Jacket to my other running jacket which has the same rating. I must say that the Uglow jacket is the clear winner by far. It just felt so comfortable and cool and I did not have that damp feeling at the end of a run. I was very impressed. The hood fitted snugly on my head and although I have quite a lot of hair which tends to escape when running, the mesh in the hood kept it in place. With the zip done right up it is impossible for the hood to blow off. Try as I might, that hood stayed put! The visor kept the rain from dripping onto my face and did not obscure my view at all. And a big bonus, was that my ears felt great. The pockets are interesting with their magnetic closures. I ran with my phone in the back pocket and it stayed put and was comfortable. The front pocket is quite small and I was able to store a packet of tissues and my house keys, but not more than that. 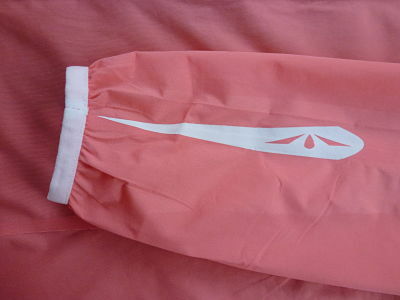 The sleeves have basic elastic cuffs with no thumb hole loops. That is not a problem for me as I like to look at my GPS watch when running. 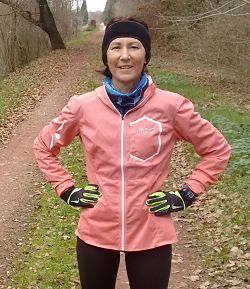 Since my first running test, I have tried the jacket in less severe conditions and even on a day when it was quite warm. Each time I have returned home feeling more than satisfied with it. The breathabilty of the jacket I find brilliant in all weather conditions and I love the lightness and softness of the material. In many ways this jacket is perfect but if I had to pick a few things, first on my list would be sizing. It seems to run a bit small. 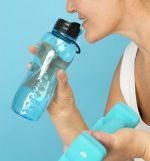 If you are hesitating between sizes, definitely go up a size. Secondly, I would have liked to be able to roll or squash the jacket into one of its pockets but there is no option for that. Thirdly, the zip pull is a bit fiddly when you are wearing gloves so having a small cord attached would be helpful. Also with the zip fully open, it would be nice to have a press stud fastener to stop the front of the jacket blowing right open when running. Having tried and tested it now for a few weeks, I can say that this is the jacket for me. 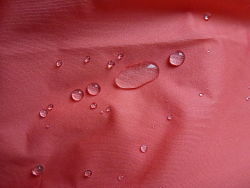 It has everything that I want/need - it is pretty waterproof, has great breathability, I love the soft and light material and it squashes up small so will fit easily in my back pack. Plus I love the hood which stays in place. UGLOW product pricing seems to aim for the higher end of the market so their products might be out of budget for quite a few people. However having said that, their products are premium quality so it could well be worth it over the long term.